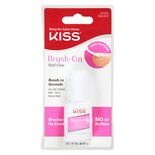 Kit contains: brush-on gel net wt. 0.25 oz, activator spray 0.64 fl. oz, acrylic dip powder 0.25 oz, 20 natural tips, 20 white tips, buffing block, nail file, manicure stick. Once opened use within 12 months. 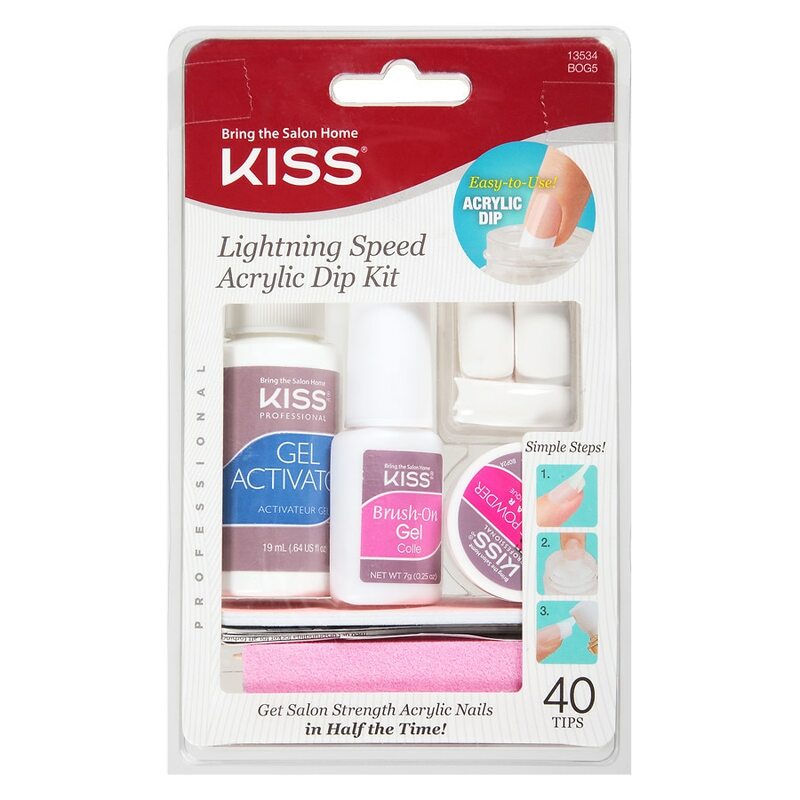 2015 Kiss Products, Inc. Glue contains cyanoacrylate. Danger. Bonds skin and eyes in seconds. Avoid inhalation, ingestion, or prolonged contact with skin. Avoid contact with eyes. If in eyes: Rinse cautiously with water for several minutes. Remove contact lenses if present and easy to do so. If on skin: Wash with plenty of soap and water then gently peel apart. Seek medical attention. Read directions for use carefully. Acrylic liquid and primer are flammable. Keep away from sources of ignition: No smoking. Keep out of the reach of children. Discontinue use if irritation occurs. Do not use if nail or surrounding skin is damaged or inflamed. For professional use only.